We here at Jobacle are on an endless hunt for the perfect resume. And we’re pleased to report that so far, it’s nowhere to be found. Cue the music, Bob. 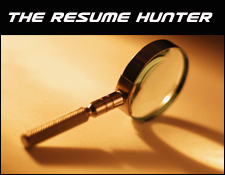 It’s time for the Resume Hunter! Today’s lucky contestant is Vinay Pandey of New Delhi. Fluff: The first thing I gather from this resume is NOTHING. After reading his objective I have no idea what Vinay does or wants to do. Be clear in your objective; especially if you want to work in HR. Also keep it short and to the point, and for God’s sake, no run on sentences. Grammatical errors are completely unacceptable in this day and age. Word processing has come too far to allow misspellings. If anyone can figure out Vinay’s objective, please explain it to me because I’m lost. If one has enough technology to post a resume on the Internet, one has the technology to make sure that what they write is grammatically correct. Or at least darn close. Layout: A Google search of “resume format” garners roughly 22 million results. There is no reason anyone should have a resume that follows no apparent format. There’s a fine line between experimentation and a cluster f***. Vinay has the latter on his hands. 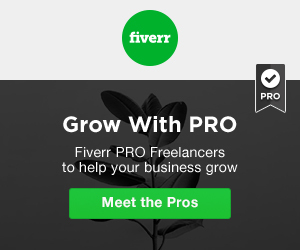 The Internet offers an enormous amount of free resume samples and layout templates. In today’s e-World employers are flooded with potential employment candidates. At some point they have to narrow down the pile, and I can all but guarantee that this resume would be deleted at first glance. Editing: Take the time to trim the fat. Have someone you trust read the resume over to make sure that you have included what is important. I will assume that a candidate currently pursuing an MBA has graduated high school, right? In fact, the majority of jobs available to those that have not earned a high school diploma or a GED are ones that only require an application to be filled out. Also, declaring that the information that you gave is true to the best of your knowledge is completely suspect and should be omitted. Due to the misuse of capital letters and its disjointed layout, this resume already looks like a ransom note. I would consider dropping the line all together. This resume smells like it might have come from an agency that promised to find Vinay a job. Well, suspected language barrier aside, he should definitely ask for his money back. Simply stating that you are pursuing your MBA is not enough. Heck, I’m pursuing Angelina Jolie. That doesn’t mean I have a realistic chance of landing her. Personal History: One has got to keep in mind what information is pertinent to the position being applied for. Something tells me that there isn’t an employer in the world that would need to know the names of Vinay’s parents. I’m also not a big fan of the hobbies section. If the employer cares they will ask during the interview. The resume is not the place to inform people that you enjoy light music. In fact, that’s a personal nugget you should probably keep to yourself – always. Vinay also boasts of his “ability to interact with people.” This isn’t a strength, it’s an indicator that you are a human being. So there it is folks. I’m sure Vinay is a great guy. An athletic fellow that enjoys light music and loves his parents. Unmarried he may be but not for long, ladies. The point is, an employer should take away a feeling of professionalism and confidence when skimming through a resume. Having parents does not qualify one to work in marketing or human resources, but it just might wind up as material for the Resume Hunter.